I have always found the care and attention that PC Case modders take over their creations fascinating. It is not unusual to see hours lavished upon themed PC Cases. 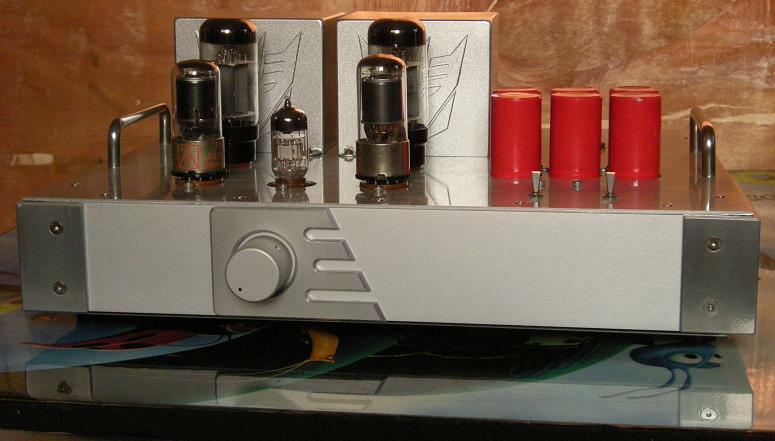 Well “Mr Chey” has posted his 6L6 / 5881 Single-Ended (SE) DIY Tube Amplifier over at www.diyaudioprojects.com. And this amplifier is a little different as he has gone for a Transformers theme to the build, much in the same way that PC modders frequently theme their creations. Transformer covers have logos and other Transformer’s inspired detailing has been hewn from aluminium to create this smart looking device. Eliot Phillips over at Roboskirts.com has posted a blog update on the DSO Nano. In his blog he points out the few changes that have been made to the Nano since I reviewed one of the Pre-production (Beta) machines. From his comments, it is clear that SeeedStudio have taken on board comments and suggestions from the beta testers. As well as minor quality improvements (I got my missing switch cover BTW) they have improved on the ease of setup of the unit. I also like the improvements that they have made to the included accessories. Twisted Pear Support Haiti With Audio Kit Raffle. I am sure that everyone who has seen the footage streaming back from Haiti has been shocked and upset by the suffering that the people there are currently enduring. The folk over at Twisted Pear Audio most certainly have been moved. They are conducting a raffle to raise money for Doctors Without Borders, a charity providing desperately needed medical care in the region. Raffle tickets are $10 each. 100% of the the money raised will go to Doctors Without Borders. On top of that Citrix Systems will match money raised with a donation of up to $5000! Up for grabs prize wise are some of their excellent audio kits. 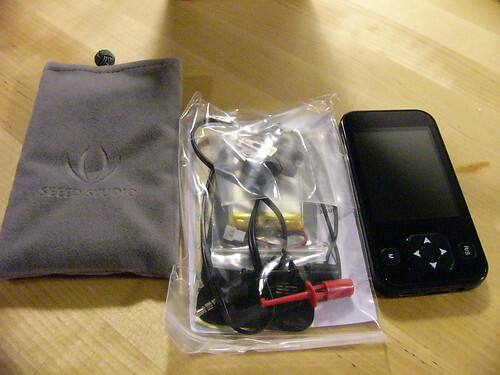 Read more: Twisted Pear Support Haiti With Audio Kit Raffle. BrianGT over at chipamp.com is celebrating the start if a new decade by offering customers a 20% Discount on all available kits during January 2010. For those that have not heard of chipamp.com before, they supply a selection of high quality kits based around the National Semiconductors Overture series amplifier chips. Sparkfun Give Away 100K Worth of Stock, and Do it So Badly! Everyone likes a bargain, and Sparkfun, a company well known amongst amateur electronics enthusiasts really captured the attention of it’s existing and potential customers with a 100 thousand dollar giveaway on the 7th of January. Offering to giveaway 100K of stock is surely a generous gesture indeed and no doubt should have won Sparkfun the admiration and adoration of many customers. Well that’s what you would think. Now I doubt that many people will be surprisedIt to hear what happened next… Sparkfun’s servers crumpled under the immense self inflicted DDos attack, even before their giveaway had begun. Now what should have been an incredible good news story turned into a massive digital lottery for those trying to access the site. Long before the server’s had returned to anything approaching usability, twitter and other social networking sites started to buzz with disgruntled customers who had been unable to complete their orders, despite attempting for two hours to log in an check out their goodies! It will be interesting to see how Sparkfun fares in the aftermath of what can hardly be seen as a successful campaign. I hope that many will take the “I didn’t loose anything” viewpoint on this one. This is a company that had a lot of goodwill in the DIY electronics community, question is will the community be in a forgiving mood? The Aleph is a popular Class-A amplifier design created by the now famous Nelson Pass. Over at Chipamp, BrianGT created the Mini Aleph Printed Circuit board, originally a special for the DiyAudio community. As a thanksgiving special this PCB is available with 25% discount until the 31st of November 09. The Circuit board costs $6.75 (originally $9) and for that you get a single board that is scored to allow it to snap into several pieces; 2 main amp boards, and 4 output device boards. Of course you will have to populate these boards and provide a power supply as well. A Bill of Materials is available here and a suitable power supply boards is also available from Chipamp.com. The main board will work in the mini-A configuration without any output boards, or in the Aleph30 configuration with the use of the output boards. If you have been looking to build a high quality 30W class A amplifier. A Schematic is available here. Over at TwistedPearAudio, Russ White and Brian Donegan have been busy adding yet another DIY Audio kit to their selection. Twisted Pear this time have produced what Russ describes as a “Mostly Discrete Opamp”. Or to put it another way a headphone amplifier! This kit occupies two printed circuit boards, one per channel and accepts either balanced line inputs or single ended operation. The balanced line option is designed to interface with several of their other product offerings. The Ventus can also easily be setup as a classic non-inverting amplifier with single ended input. It also can be setup as an in inverting amplifier with single ended input.